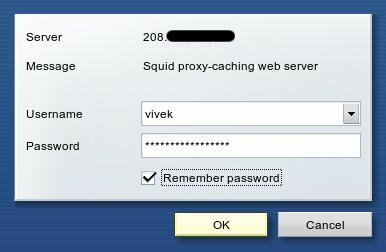 How do I install Squid Proxy server on CentOS 5 Liinux server? Sure Squid server is a popular open source GPLd proxy and web cache. It has a variety of uses, from speeding up a web server by caching repeated requests, to caching web, name server query , and other network lookups for a group of people sharing network resources. 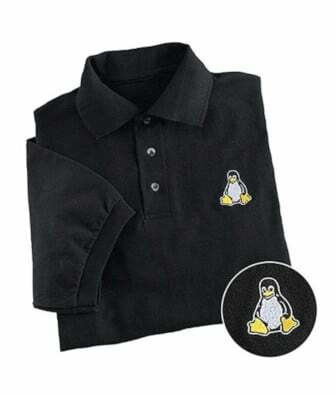 It is primarily designed to run on Linux / Unix-like systems. Squid is a high-performance proxy caching server for Web clients, supporting FTP, gopher, and HTTP data objects. Unlike traditional caching software, Squid handles all requests in a single, non-blocking, I/O-driven process. Squid keeps meta data and especially hot objects cached in RAM, caches DNS lookups, supports non-blocking DNS lookups, and implements negative caching of failed requests. Squid consists of a main server program squid, a Domain Name System lookup program (dnsserver), a program for retrieving FTP data (ftpget), and some management and client tools. Open a webbrowser > Tools > Internet option > Network settings > and setup Squid server IP address and port # 3128. So how do you limit the number of simultaneous web connections from a client browser system using the open source Squid proxy server? You need to use squid ACCESS CONTROLS feature called maxconn. It puts a limit on the maximum number of connections from a single client IP address. It is an ACL that will be true if the user has more than maxconn connections open. It is used in http_access to allow/deny the request just like all the other acl types. Explains how to use squid proxy server with OpenLDAP, or active directory authentication using squid_ldap_auth module. We run fairly large squid caching proxy server. There are commercial products are also available. So sometime you may need benchmark caching proxy server. As business grows everyday you may need to evaluate certain aspects of core business in advance. This process of measuring the performance of a product or service is must for real life situations. I have already written about benchmarking a web server. The main aim for benchmarking is to reproduces result for workload that does not put stress under test (so that I can be sure that it will run under heavy load 🙂 ). My main criteria were to see caching server throughput rate, response time under workload; cache hit ratio, number of concurrent connections to caching server and other factors. I am going to use web polygraph software for this purpose. It is a freely available benchmarking tool for caching proxies, origin server accelerators, L4/7 switches, content filters, and other Web intermediaries. I shell not able to publish benchmarking result here as software license put the restriction on me (from web polygraph license page, ‘you shall not publish benchmarking results based on Web Polygraph‘). Y’day I got a chance to play with Squid and iptables. My job was simple : Setup Squid proxy as a transparent server. Main benefit of setting transparent proxy is you do not have to setup up individual browsers to work with proxies. i) System: HP dual Xeon CPU system with 8 GB RAM (good for squid). Eth0 connected to internet and eth1 connected to local lan i.e. system act as router.